Green Pasture Meats, which opened in New Haven last May, will get a second location in Shelburne this month. Production manager Jim Blais is no stranger to the town; he worked as a butcher at Shelburne Supermarket for 22 years before joining Green Pasture owner Mark Smith in his burgeoning business. Blais says that, with the expansion, he and Smith hope to reach Burlington as well as Shelburne shoppers with their all-local meat. And when he says local, he means it. Smith owns Vermont's first large-animal mobile slaughter unit, which his team brings directly to farms to supply the case at his store. "It certainly comes out in the quality of the meats," Blais says. Most of the animals, which go from slaughter to cutting to case under the auspices of GPM, originated on Addison County farms. Duclos & Thompson Farm in Weybridge is a major pork supplier to GPM, while beef comes from Blais' family farm in Ferrisburgh and Smith Family Farm in New Haven. The last is owned by Rep. Harvey Smith (R-New Haven), a major proponent of Mark Smith's (no relation) original proposal to begin his mobile slaughter business. The second Green Pasture Market is located at 5247 Shelburne Road, the former site of Next Door Bakery, beside the Bearded Frog Bar & Grill, which also serves the supplier's meats. 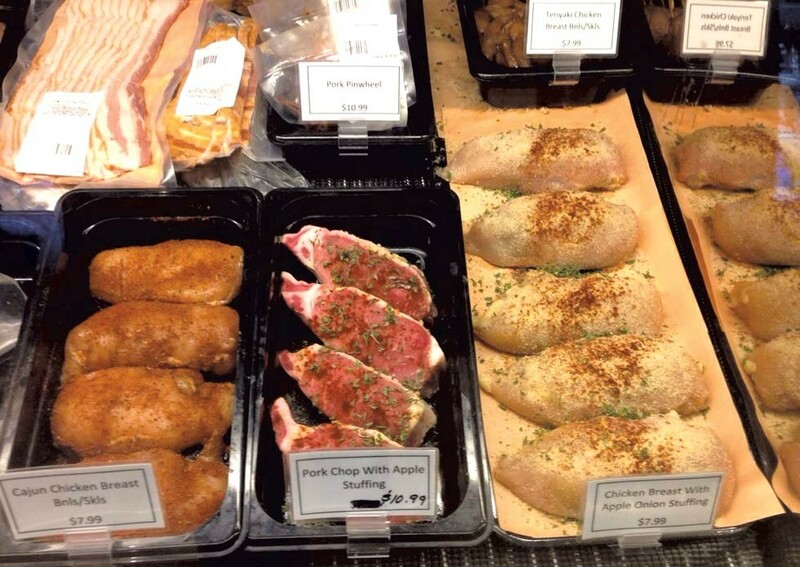 The space will allow Blais to sell a larger selection of meat, he says, as well as local bread and cheeses. The original print version of this article was headlined "Grass Is Greener"